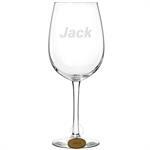 Classic wine glass personally engraved with the name of the recipient. Generous 12-1/2 oz. lead free, dishwasher safe wine glass. Names up to 12 characters. Includes FREE matching wood wine charm laser engraved with same name. Create a permanent memory with one of our solid wood plaques. Measures 4" x 6" x 3/4" with beautiful beveled border. The engrave area is 3" x 5" and you can engrave text, graphics or photographs. Can be engraved in landscape or portrait orientations. 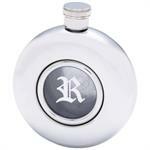 Compact stainless steel window flask personalized with 1, 2 or 3 initials monogrammed on the glass window. Polished stainless steel finish. Screw down cap. Holds 5 oz. of liquid. Includes stainless steel filling funnel. Comes in white gift box. 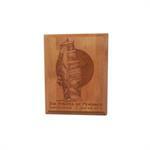 Create a permanent memory with one of our solid wood plaques. Measures 5" x 7" x 3/4" with beautiful beveled border. The engrave area is 4" x 6" and you can engrave text, graphics or photographs. Can be engraved in landscape or portrait orientations. 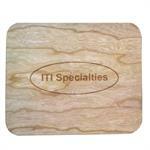 Wooden mouse pad with real wood top surface laminated to non-slip back. Natural wood sanded smooth; NO paint, stain, varnish, lacquer or other finish. Unique award or gift. Logo, name, message, etc. laser engraved on wood surface. 9-1/4" x 7-3/4" x 1/4". 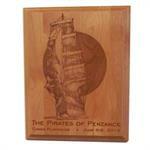 Create a permanent memory with one of our solid wood plaques. Measures 6" x 8" x 3/4" with beautiful beveled border. The engrave area is 5" x 7" and you can engrave text, graphics or photographs. Can be engraved in landscape or portrait orientations. 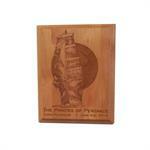 Create a permanent memory with one of our solid wood plaques. Measures 7" x 9" x 3/4" with beautiful beveled border. The engrave area is 6" x 8" and you can engrave text, graphics or photographs. Can be engraved in landscape or portrait orientations. 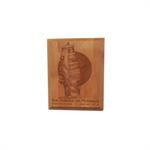 Create a permanent memory with one of our solid wood plaques. Measures 8" x 10" x 3/4" with beautiful beveled border. The engrave area is 7" x 9" and you can engrave text, graphics or photographs. Can be engraved in landscape or portrait orientations. 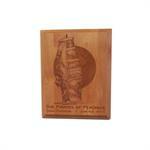 Create a permanent memory with one of our solid wood plaques. Measures 9" x 12" x 3/4" with beautiful beveled border. The engrave area is 8" x 11" and you can engrave text, graphics or photographs. Can be engraved in landscape or portrait orientations. 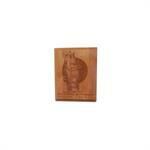 Create a permanent memory with one of our solid wood plaques. Measures 10-1/2"x13"x3/4" with beautiful beveled border. The engrave area is 9-1/2"x12" and you can engrave text, graphics or photographs. Can be engraved in landscape or portrait orientation. 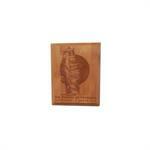 Create a permanent memory with one of our solid wood plaques. Measures 12" x 15" x 3/4" with beautiful beveled border. The engrave area is 11" x 14" and you can engrave text, graphics or photographs. Can be engraved in landscape or portrait orientation. 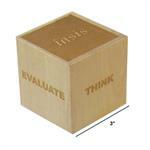 Engrave your message on 1-6 sides of this 2" natural wood message cube. Sanded smooth with NO paint, stain, varnish, lacquer or other finish. A unique award, paper weight or desk nicknack. Logos, names, messages can be engraved. Includes gift pouch. 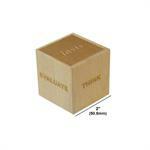 Engrave your message on 1-6 sides of this 2-1/2" natural wood message cube. Sanded smooth with NO paint, stain, varnish, lacquer or other finish. A unique award, paper weight or desk nicknack. Logos, names, messages can be engraved. Includes gift pouch. 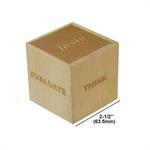 Engrave your message on 1-6 sides of this 3" natural wood message cube. Sanded smooth with NO paint, stain, varnish, lacquer or other finish. A unique award, paper weight or desk nicknack. Logos, names, messages can be engraved. Includes gift pouch.